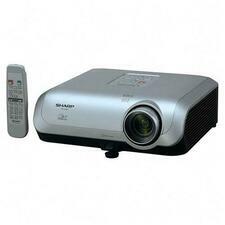 Designed to meet all of your multimedia needs, the Sharp Notevision XR-30S MultiMedia Projector provides superior features, performance and reliability. 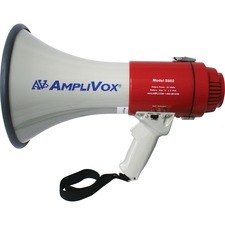 25-watt megaphone features an LED charge status indicator to prevent unexpected battery depletion during use. Talk, Siren and Whistle modes deliver up to a one-mile sound coverage. Volume/gain knob gives you precise control over the sound. Pistol grip handle is angled for comfortable handling during prolonged periods. Battery-operated design requires eight C-size batteries (sold separately). 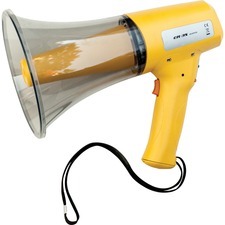 Megaphone is perfect for use by event organizers, law enforcement, traffic control, marine environments and more. Wireless, portable public address system features a built-in Bluetooth module that allows you to stream music wirelessly from any Bluetooth music-playing device. Bluetooth's wireless capability can transmit audio music from your iPad, iPhone, or any other Bluetooth-enabled device such as a smartphone, PC or laptop computer. System is equipped with a powerful, 100-watt amplifier; 8" speaker; handheld wireless microphone; and a luggage handle with wheels. You can also play your music with the built-in CD player, USB input or through the SD slot. Auxiliary iPod input and integrated electronics deliver a clear and full sound. 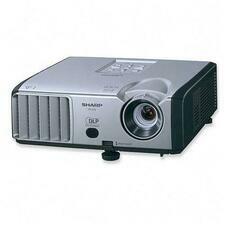 The Titan PA system can either be plugged in using AC power cord or run on rechargeable batteries for up to 10 hours. Lightweight design can reach up to 2,500 people in room sizes of up to 10,000 square feet in optimal conditions. It is easy to move with luggage handle and wheels. 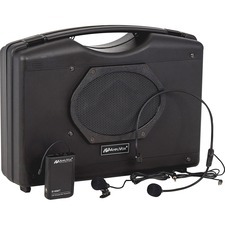 Take your public address system with you using the Wireless Audio Portable Buddy. This battery-powered sound system goes anywhere you go and runs for up to 200 hours on 10 D-Cell Batteries. Reach an audience the size of up to 1,000 people without the hassle of wires and cords. The Buddy is equipped with 16 Channel UHF wireless receiver from 584MHz to 608MHz; 50-watt wireless stereo amplifier with built-in receiver; and wireless lapel and headset mic with body pack transmitter. Lightweight handheld design also includes built-in Jensen speaker; shoulder strap and computer/projector audio interface cables. Durable case withstands rugged use. The multi-use XR-10S-L, with 2000 ANSI Lumens brightness and SVGA native resolution, offers high image quality and performance at a remarkably affordable price. Incorporating the latest Texas Instruments DDR DLP display technology with 3x speed, 4-segment color wheel in conjunction with TrueVision (DDP2000) image processing, the XR-10S-L delivers superior color quality, brightness and reliability. The projector is an ideal choice for extended-use operation thanks to multiple ultra-quiet cooling fans and new high efficiency lamp. A full complement of inputs and outputs (including RGB-loop through, stereo variable audio line-output and RS-232C) make the projector ideal for "portable" use and higher-end integration as well. Belt-worn, personal sound system is perfect for anyone who needs a moderate improvement in their sound coverage and voice clarity during presentations. Weather-resistant cover keeps the unit dry for convenient use indoors or outdoors. 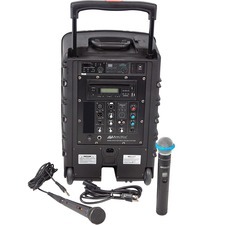 Rechargeable batteries save you money and can be charged while still in the public address system. Mini sound system is perfect for tour guides, speakers, presenters and more. 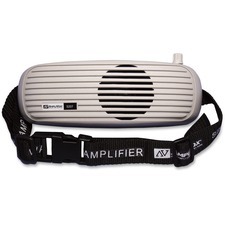 Sound system includes a headset, lapel mic, acoustic neoprene fanny pack case with belt and extender, nylon carrying case, AC adapter/recharger and six NiMH AA batteries. 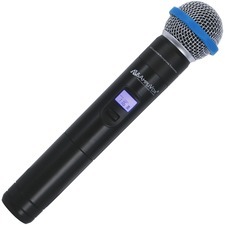 Wireless handheld microphone with built-in transmitter offers 16 UHF channels so your presentation will go smoothly. All wireless devices of any type are subject to interference caused whenever a receiver can "hear" more than one transmitter broadcasting on the same frequency. This "jamming" effect can sound like a howl or squeal distortion of the mic signal or even no sound at all coming from the receiver. UHF frequencies are less susceptible to environmental noise. This transmitter gives you 16 channels from which to choose with a frequency range from 584 MHz to 602.45 MHz. Use only with Amplivox Executive Sound Column, Presidential Plus or Elite lectern SW models. 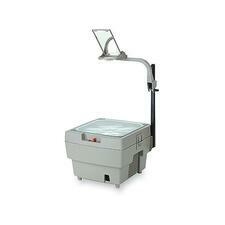 The Highland Overhead Projector HL 1610 is the perfect, economical, energy efficient and lightweight projector designed for small meeting spaces and small budgets. The Highland HL 1610 gives you clear sharp images, a multi-range fixed focus which allows you to move the overhead up to three feet without refocusing, and a whisper-quiet fan that won't distract your audience from the presentation. The Highland 1610 offers convenient built-in carry grips for easy transport - no more broken straps or handles. This megaphone will really get their attention. The megaphone has an 800 yard range and power from 8 to 12 watts. With an adjustable volume control and powerful siren, you'll never have to worry about being heard. Get the megaphone in hand with the convenient wrist strap. The high-visibility color makes it easy to find in your storage close. Megaphone operates using eight AA batteries (sold separately).